We’re all familiar with the age-old saying of ‘eat less, move more’; we know that in order to keep fit, lose weight and maintain a healthy lifestyle, it really is as simple as eating less ‘bad’ foods and moving move in your day-to-day life. According to the NHS, adults need around 150 minutes of exercise a week with kids under 16 requiring around 60 minutes a day in order to keep fit and healthy. At The Holbrook Club, we’re huge believers that moving more and trying a range of physical activities makes all the difference when it comes to a fitter, healthier you. For many people, taking up an exercise regime or a new physical hobby can be a daunting prospect, especially if you’ve been a tad dormant of late. But moving more isn’t as scary as it might seem. It can actually be very simple to get your heart pumping and your body moving with results showing themselves quickly if you stick to a routine. It could be as simple as taking the stairs rather than the lift or perhaps walking to the shops rather than relying on your car- you’ll save petrol money too! If the thought of the treadmill leaves you a little frightened, don’t fear: they aren’t just for marathon runners! 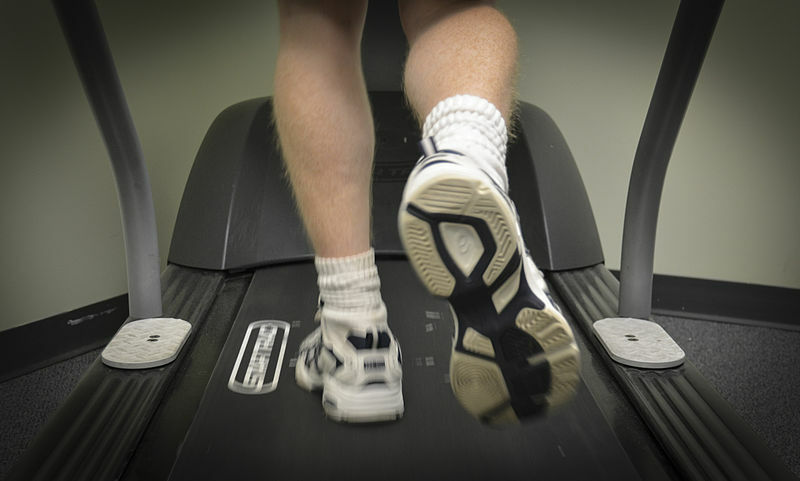 A gentle walk on the treadmill can still get your heart pumping and those calories burning, especially if you set a slight incline to your walk. If you fancy ramping it up a little, why not try a power walk? By moving your arms at the same time, you’ll get your whole body working and those endorphin’s flowing. A brisk walk is said to burn around 200 calories an hour if you’re on an incline so don’t shy away next time you hit the gym. If your Beckham days are well behind you, why not try Walking Football? It’s the latest fitness craze and here at The Holbrook Club, we’re delighted to be running Walking Football every Thursday morning in homage to the new footy fad. Designed for the over 50’s, Walking Football is exactly what it says on the tin and is a fantastic way of moving more and keeping fit without pushing yourself too far. We also offer Walking Basketball – why not give it a go? If you’ve a phobia of fitness but want to improve your health, why not dance the calories away instead? Zumba has been a hugely popular form of exercise over the past few years and our classes at the Club are always jam packed. Did you know that an hour’s worth of Zumba dancing can burn anywhere between 500 and 800 calories? So not only will you be moving more and burning fat but you’ll have a laugh too! See our class timetable here. Table tennis might not sound like the most exerting sport ever but in fact, it’s not as straight forward as you think. 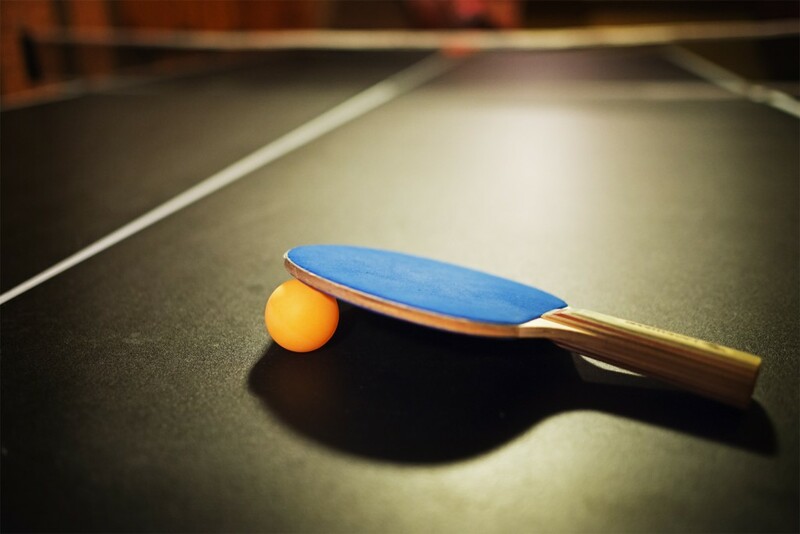 A spot of high-intensity table tennis can really help you get a sweat on and you can always boost your session with a few jumps or squats in between shots! Remember: fitness isn’t about running marathons but rather getting on your feet and getting moving whilst doing something that’s fun! If you fancy moving more and joining The Holbrook Club, find out more about our membership options here and get started on your next fitness venture.